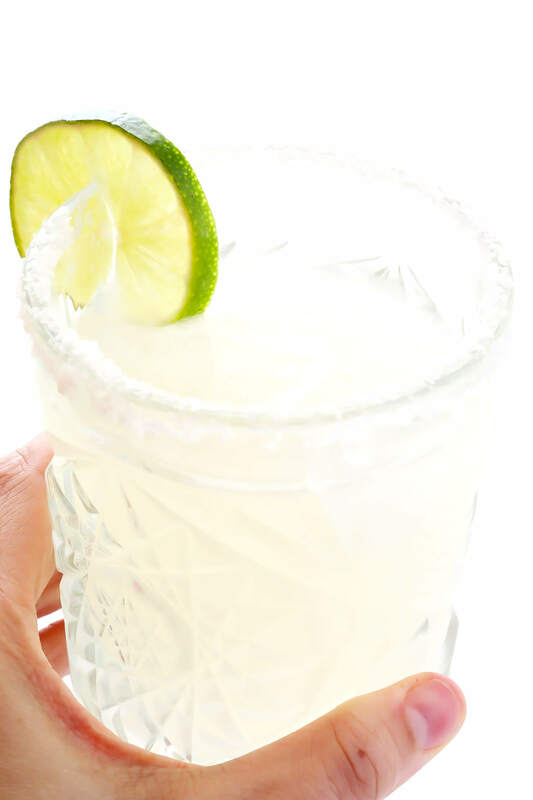 This Gin Margarita recipe (also known as a “Margatini”) is quick and easy to make with 3 simple ingredients, and it’s a surprisingly delicious change of pace from traditional tequila! A few weeks ago when I shared one of the five cocktail recipes I whipped up for our big Gin Night with friends — a delicious effort to empty our bar before moving to Barcelona — a number of you followed up asking for the other four recipes. Have you guys ever made these before? 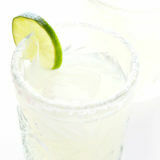 Amazingly — as much as I love margaritas — our Gin Night was the first time I had ever tried swapping in gin for tequila. I had heard from various friends before who loved and recommended the combo. But after so many good years with tequila (and mezcal), I was admittedly a little skeptical about the idea of the swap. Well, judging by the very large and very empty pitcher at the end of the night, the margatinis were a surprise hit! 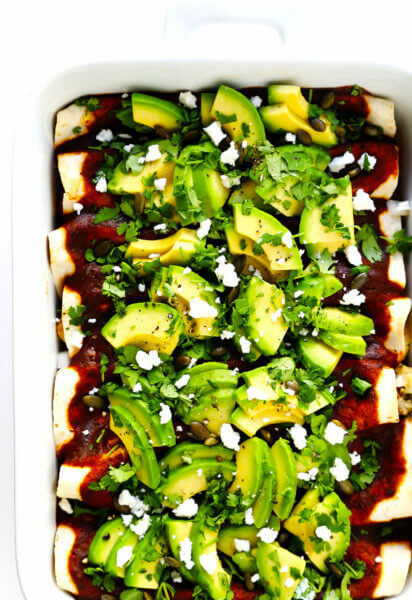 So without further ado, here’s the recipe we all loved! Even if you’re not traditionally a gin lover, I think this one might surprise you. Then voila! 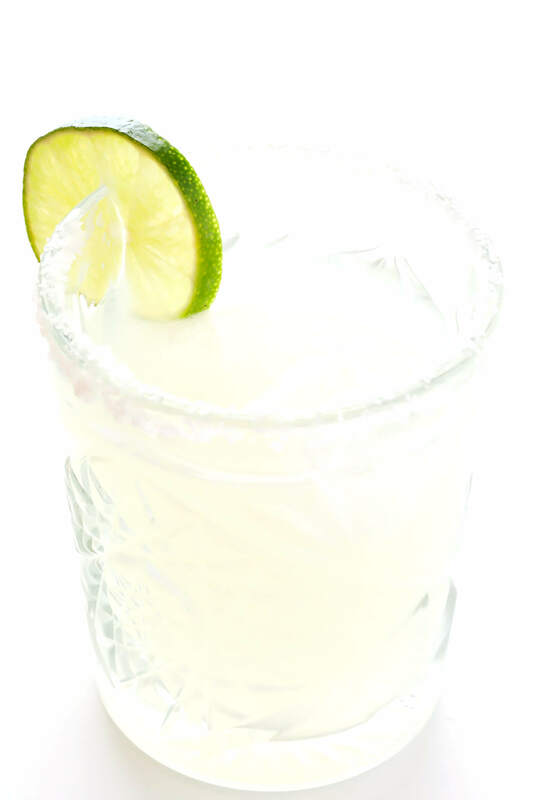 This refreshing margatini will be yours to enjoy! 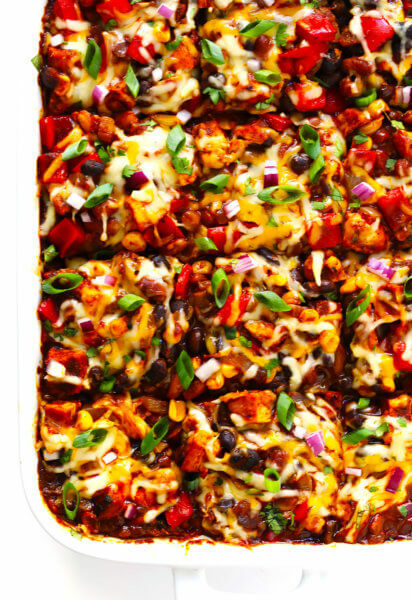 If you’d like a spicier kick, feel free to muddle a jalapeño slice in there too. 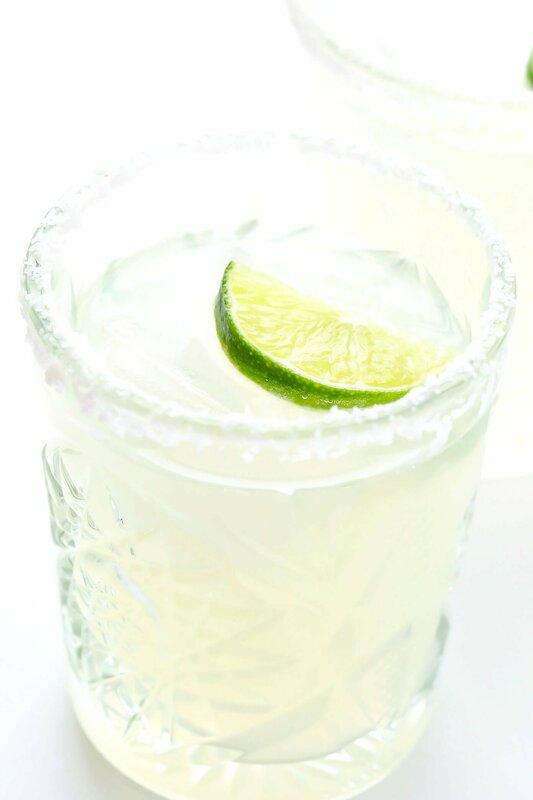 Or gussy up the rim by adding in a shake of Tajín (or chili powder) along with your salt. And of course, gins vary widely in flavor. So feel free to experiment with various varieties and see what tastes best to you. Cheers, everyone! 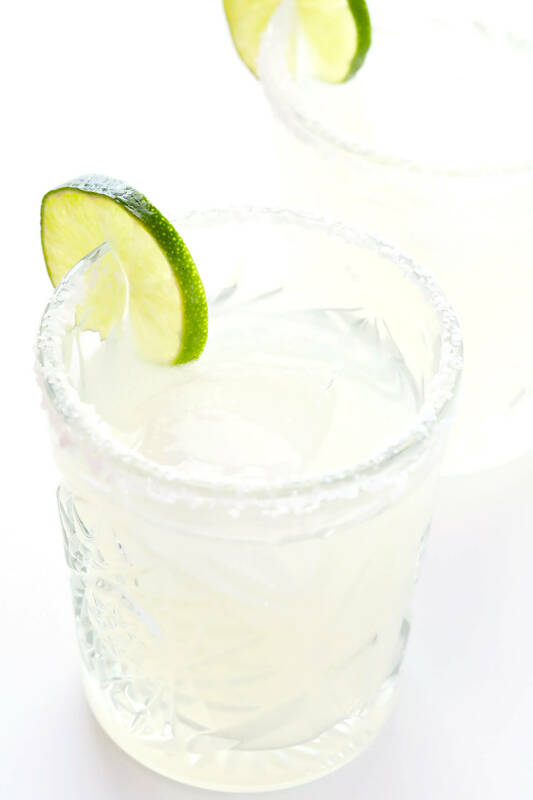 This gin margarita recipe (a.k.a. the “margatini”) is a delicious twist on this traditional cocktail. 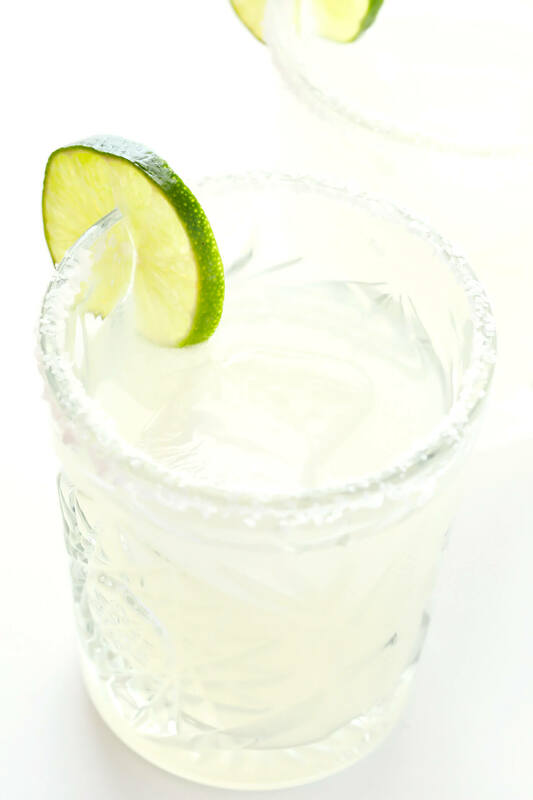 Add gin, lime juice and Cointreau to a cocktail shaker, and shake or stir until combined. 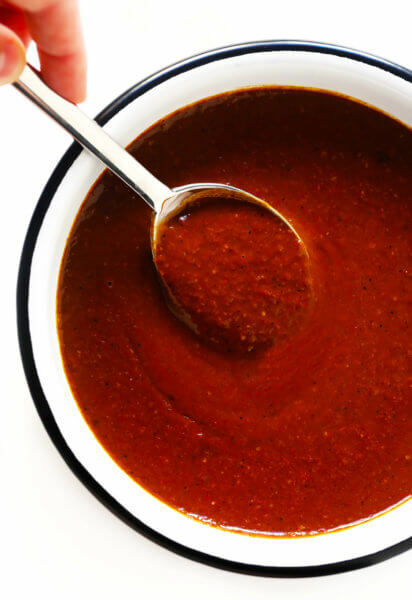 Taste, and if you would like it to be sweeter, stir in a half teaspoon of agave or simple syrup at a time, until the mix reaches your desired level of sweetness. Thanks so much for this recipe! 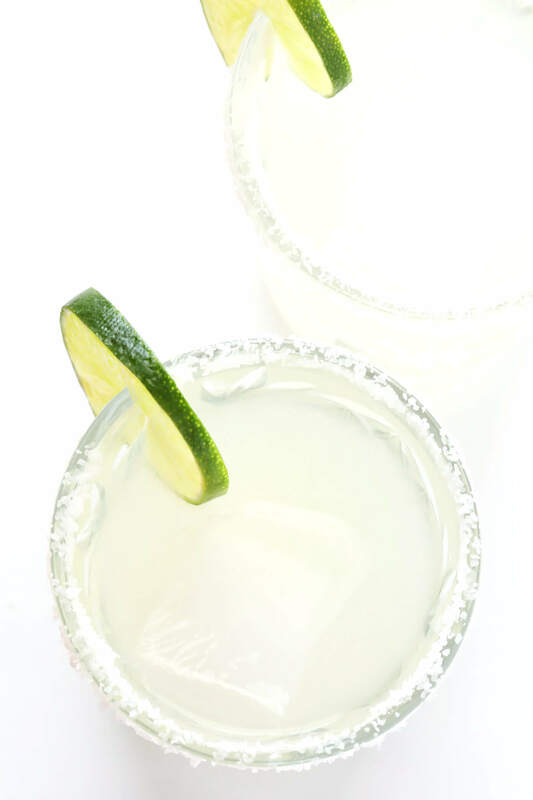 I like margaritas but I’m eh about tequila. Gin, however, I love! 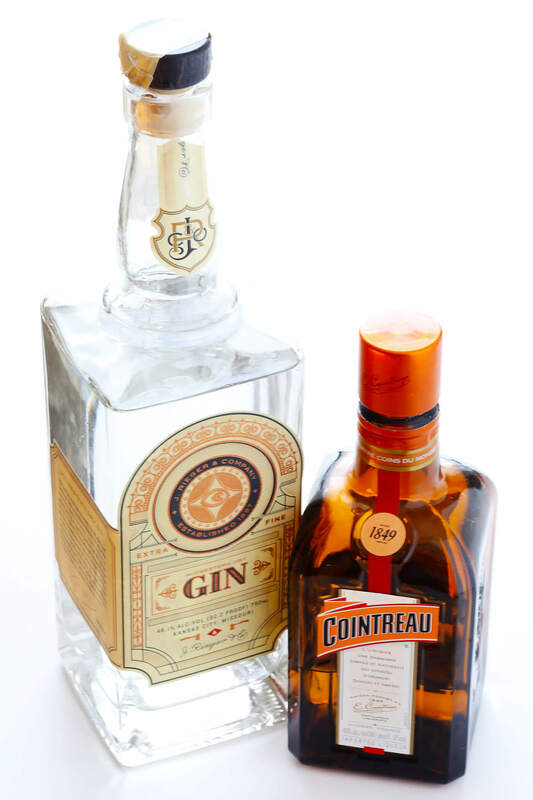 Can’t wait to try this since I actually have Cointreau at home! Have you had a gin gimlet? You might like that too. This is my husbands favorite drink! Except he calls it a ginarita. So yummy!